The Chairman of the Independent National Electoral Commission, Prof. Mahmood Yakubu, on Wednesday assured Nigerians that the commission would ensure free and fair rerun National Assembly election in Rivers State. He said the commission would not be distracted by the various allegations being leveled against it by stakeholders in the state. Yakubu spoke with State House correspondents shortly after President Muhammadu Buhari inaugurated six INEC national commissioners at the Presidential Villa, Abuja. He denied the allegation that members of the All Progressives Congress in the state were being recruited as returning officers for the election, saying adhoc staff were recruited from the University of Port Harcourt. He also faulted the claim that some persons printing sensitive materials were arrested in the state. 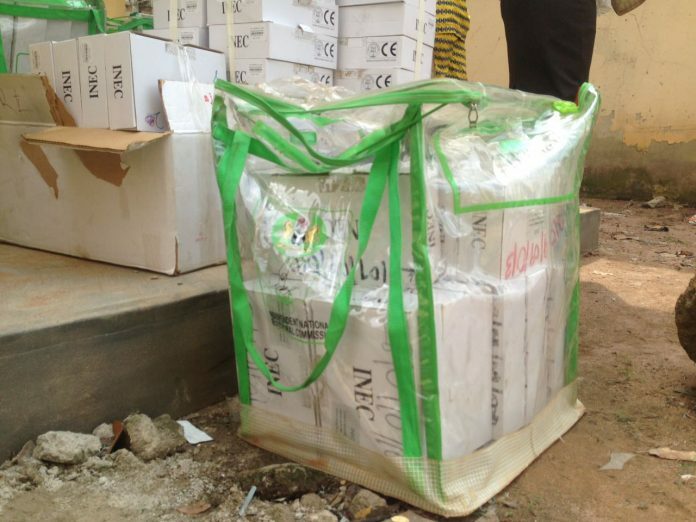 Yakubu said although it was not the commission’s style to print sensitive electoral materials in the states where elections are being held, the commission had already asked security agencies to investigate the matter. On security, the INEC boss said the commission was satisfied with the assurances it had received from security agencies on the election fixed for Saturday.